Lemon waterless hand cleaner. 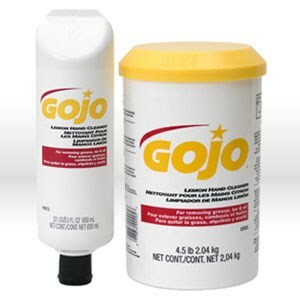 Gojo Lemon Hand Cleaner is a creme formula for removing grease, tar and oil. Rub, then wipe clean with towel or rinse off.